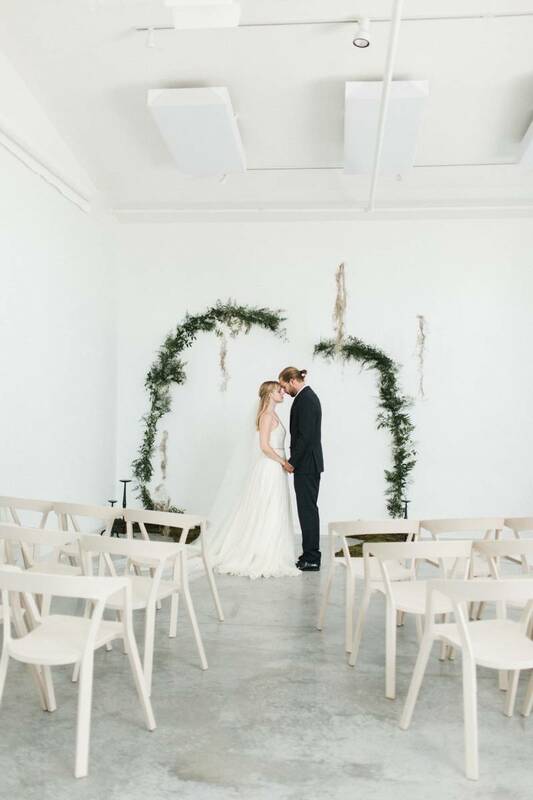 It's the new wave of wedding design - keeping it simple and classic with hints of unique modern details. 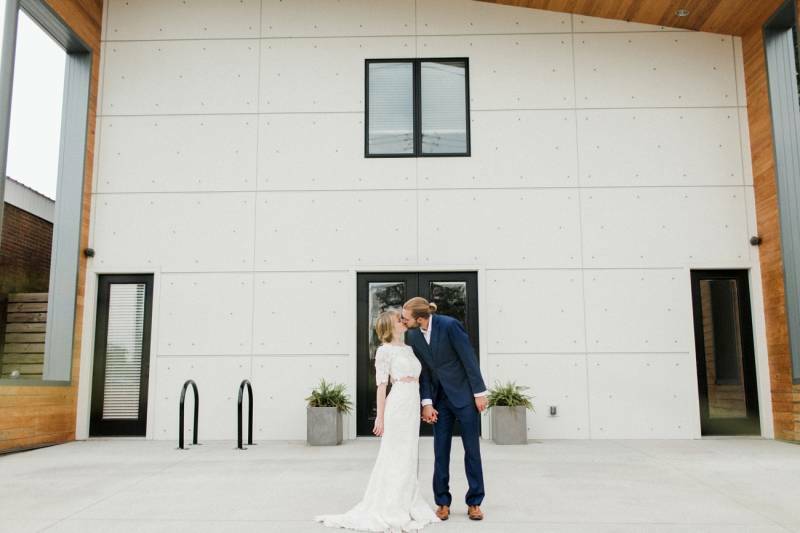 Whitney Gorbett of Woven Events planned and designed this "East Nashville-esque" styled shoot to emulate the modern couple. 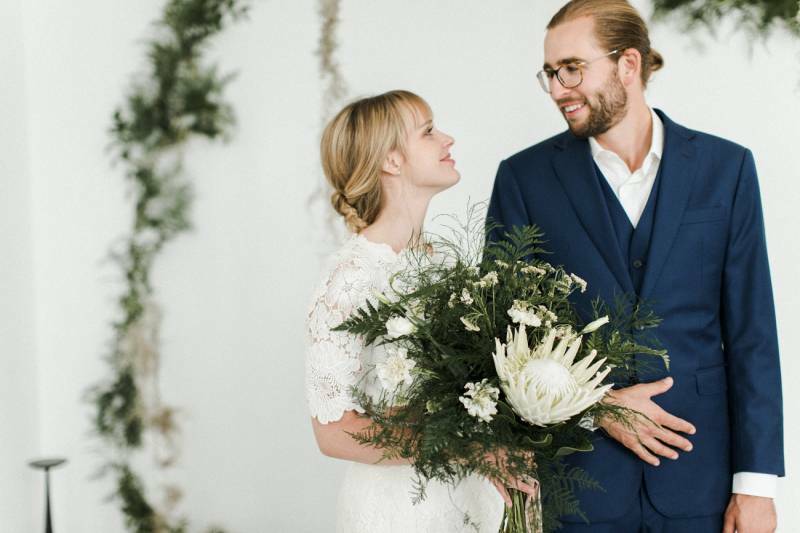 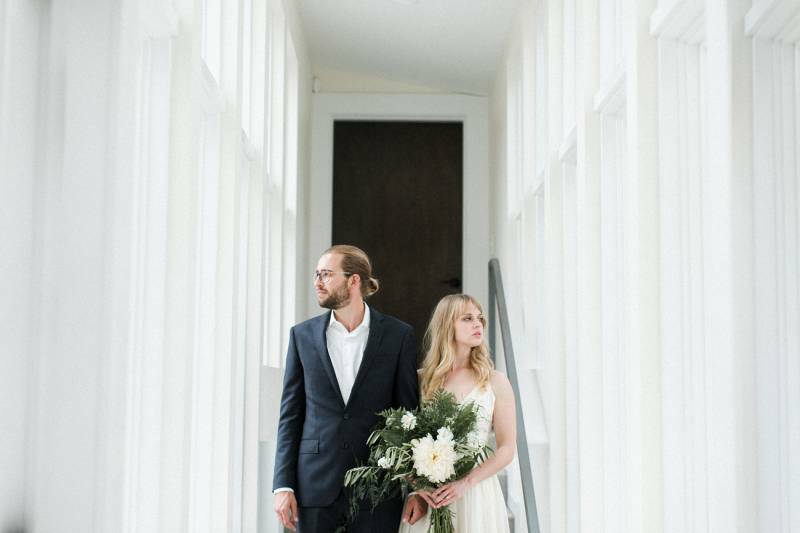 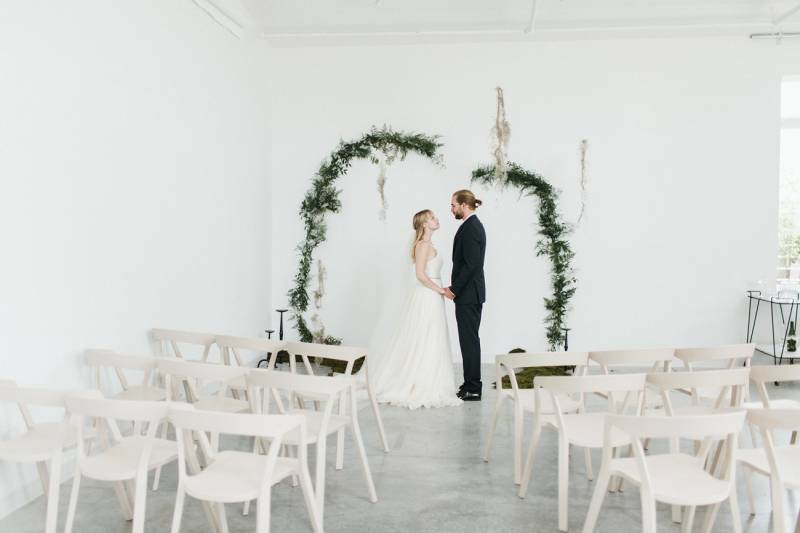 With her hand-picked team of carefully curated vendors, the scene was set for a modern minimalist wedding. 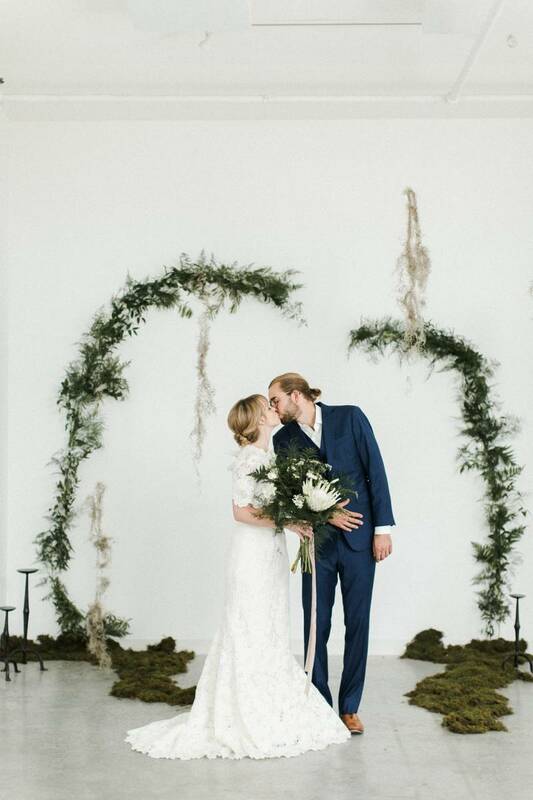 Details such as an arch-like greenery ceremony backdrop, inspired floral designs and a Nashville couple as the muses to seal the deal, the scene was a dream! 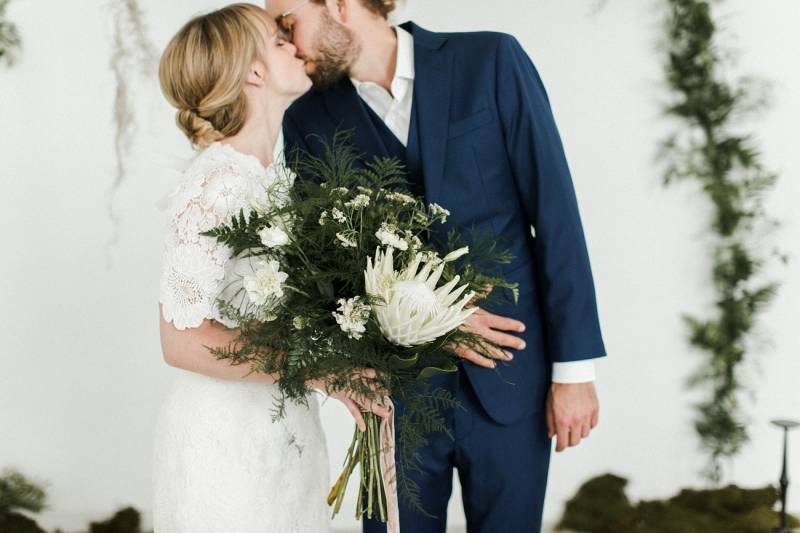 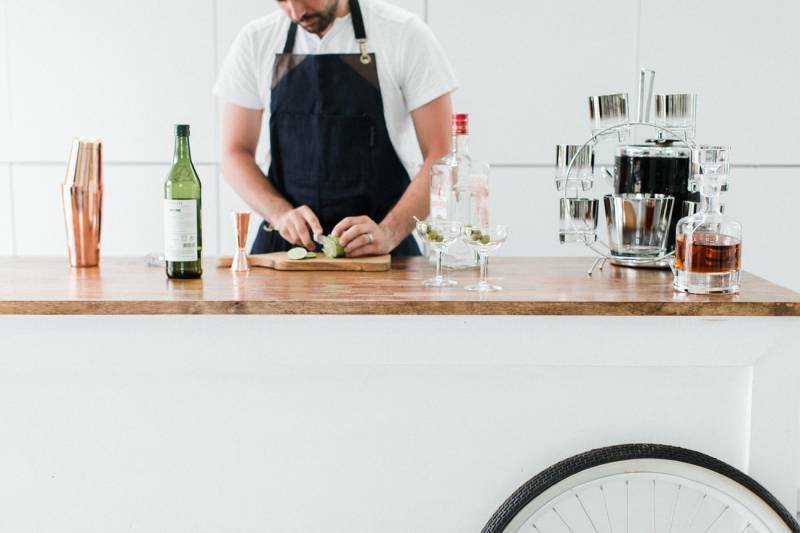 Browse through the gorgeous photos by Vine & Light and hear all about the inspiration behind the day from Whitney of Woven Events below! 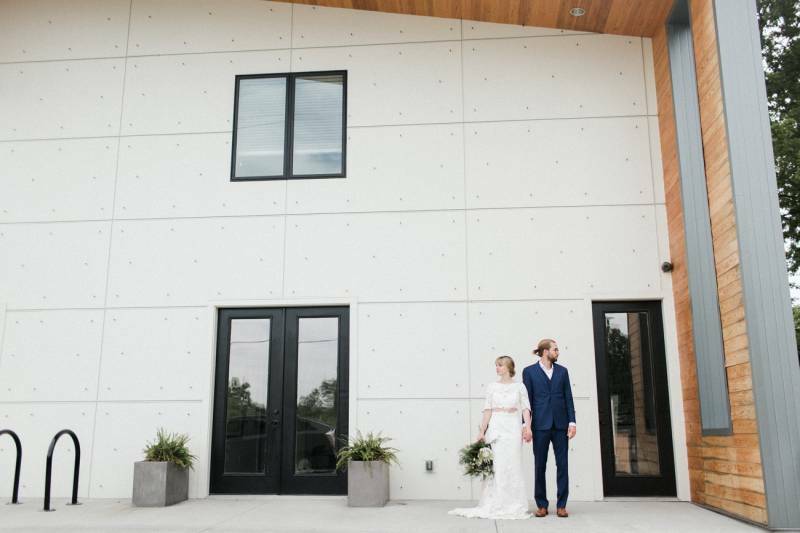 About the Shoot from Whitney of Woven Events: Our team set out to create a wedding that brings a fresh approach to the design scene in Nashville. 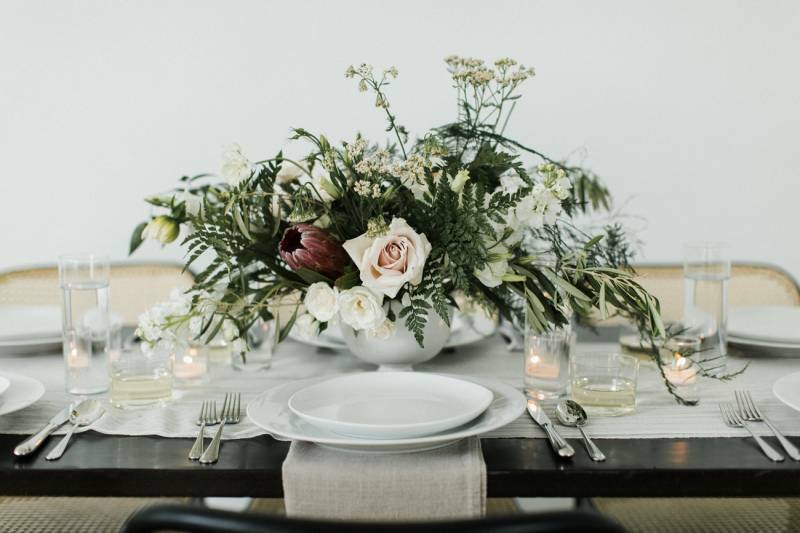 We set clean studio spaces, thoughtfully curated table scapes, craft cocktails and brought it all into relationship with florals from Amelia's Flower Truck. 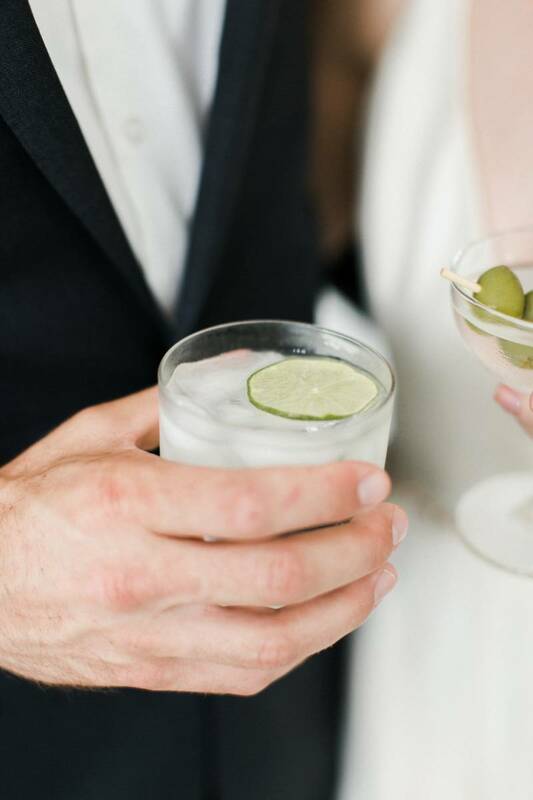 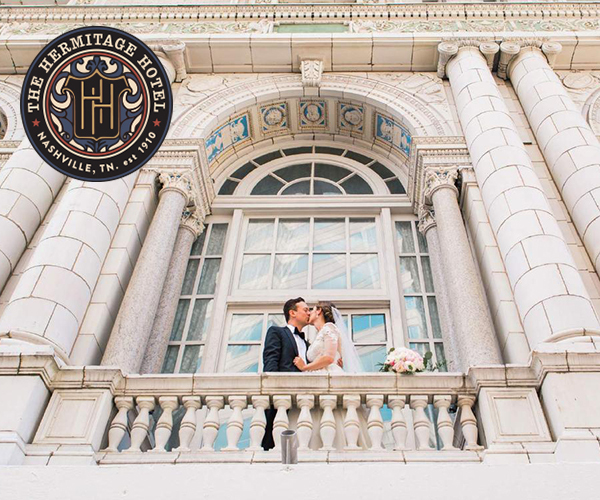 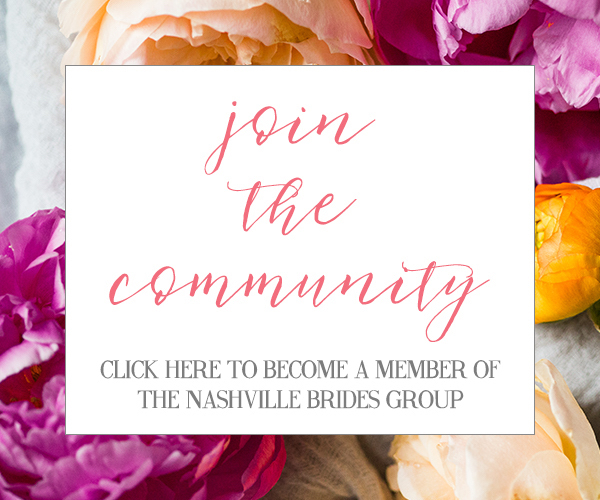 We did this with the intention of giving Southeast brides fresh content & design inspiration for their own on-trend wedding or event without losing a few of Nashville's all-American classic elements. 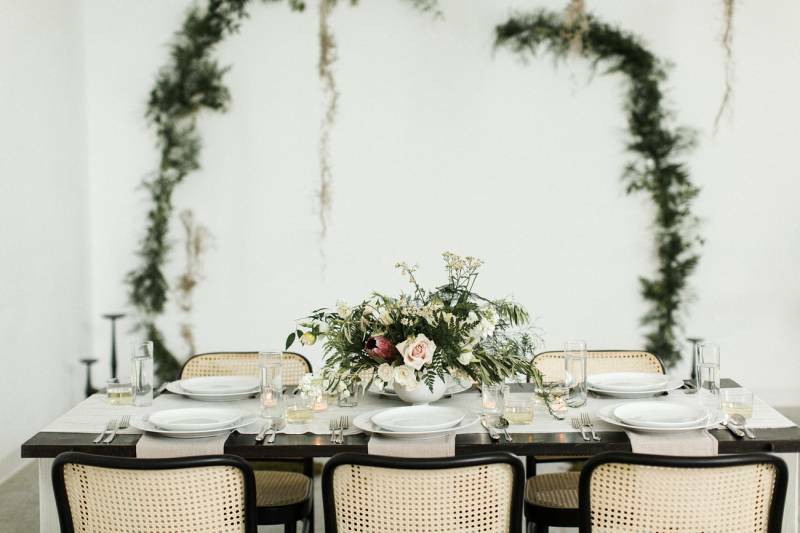 More on the uniqueness of the shoot from Whitney of Woven Events: With our design-forward approach, we were able to capture a modern set, while holding onto certain timeless pieces, and accented it with a few simple statements of Southern charm. 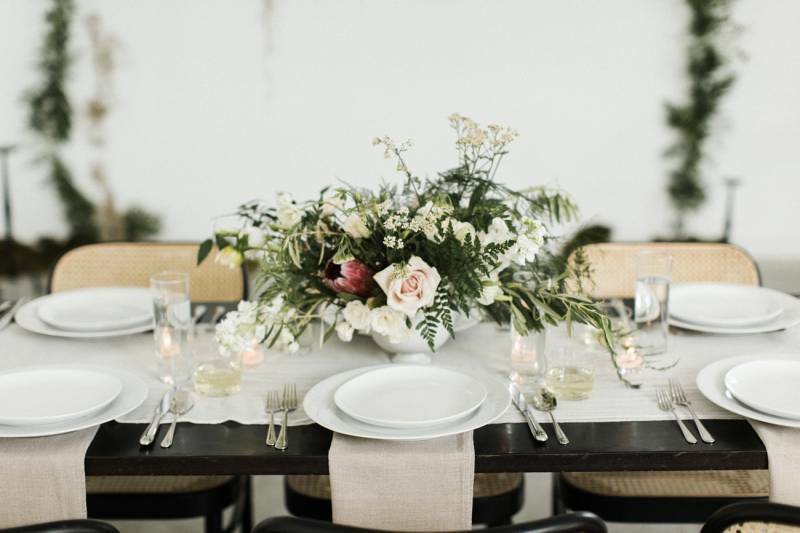 Using a season neutral color palette, we replaced the typical exuberance of Southern wedding styles with a softer, toned down approach, giving each element space to be seen and admired. 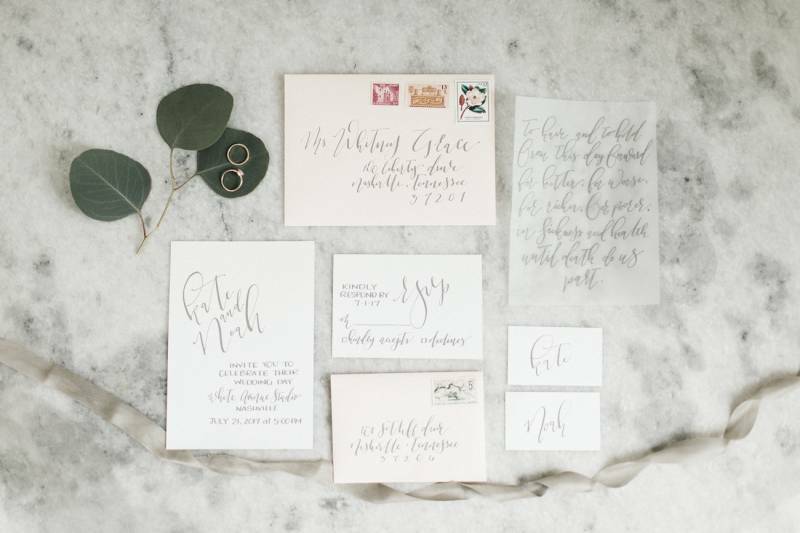 This shoot offers fresh design direction for the Southeast on-trend bride and encourages a more simplistic approach through different textures, simple statements and distinct yet perennial decor. 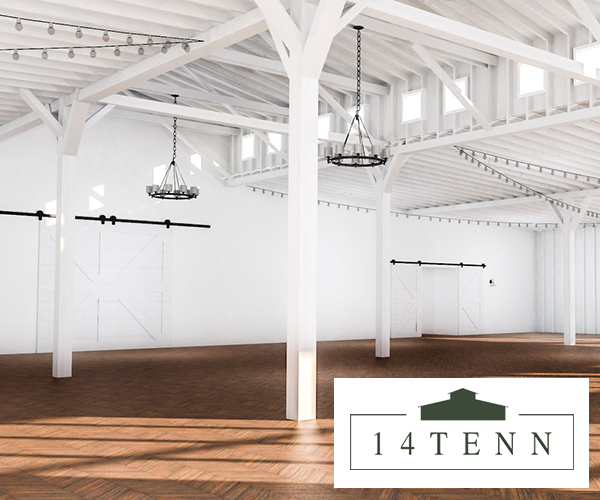 Inspiration behind the day from Whitney of Woven Events: Our focus was to rethink Nashville event essentials without losing key components. 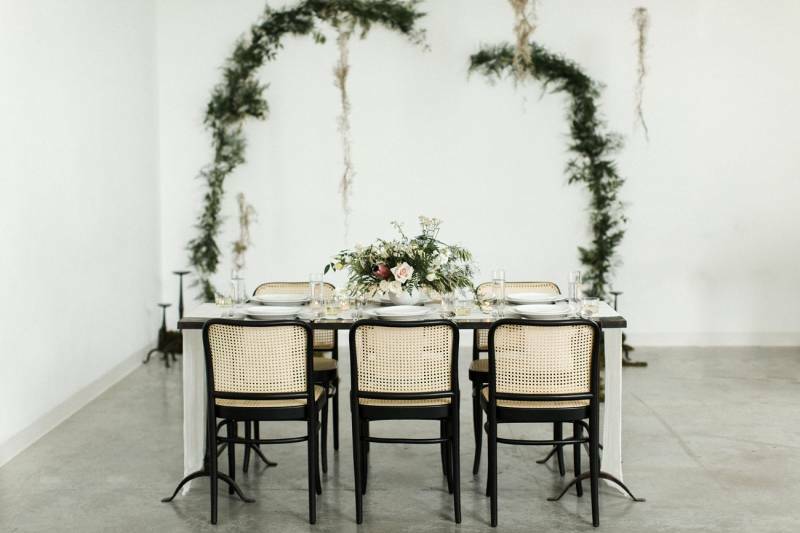 Woven Events set quality pieces in a space where each element was given its own platform to be seen. 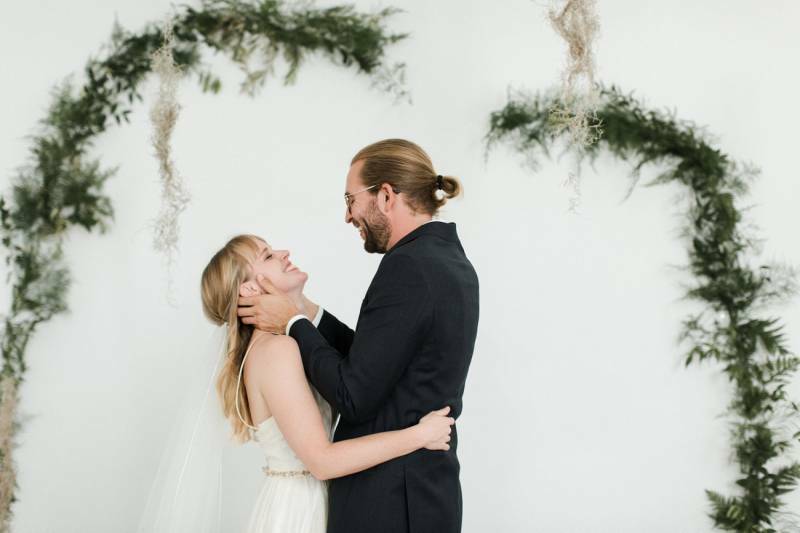 We kept the shoot season neutral with a clean classic color palette, allowing Amelia's Florals to accent the intimate setting textured lush greenery and florals bringing a bit of that East Nashville bohemian feel. 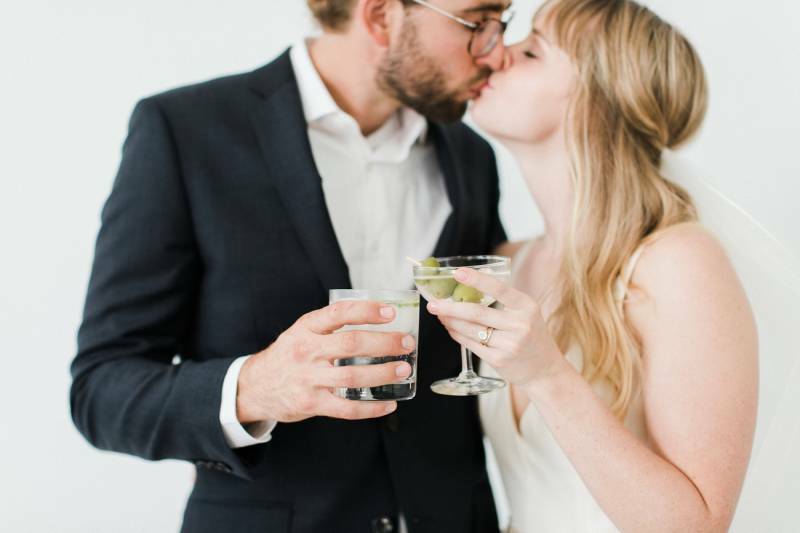 Favorite memories of the day from Whitney of Woven Events: We are a group of vendors that want to lead a movement within the local event industry. 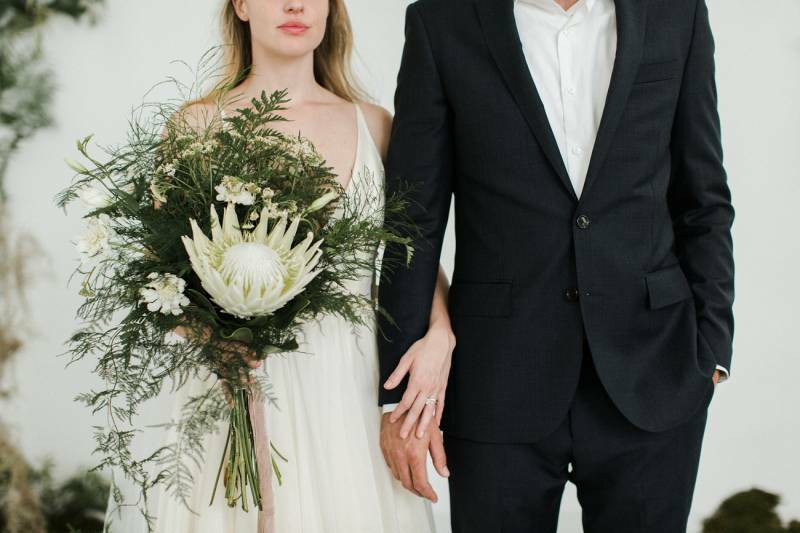 We are seeking to alter the words associated with weddings---words like chaotic, endure, and bridezillas, and eradicate notorious wedding day phrases like, "a day to get through". 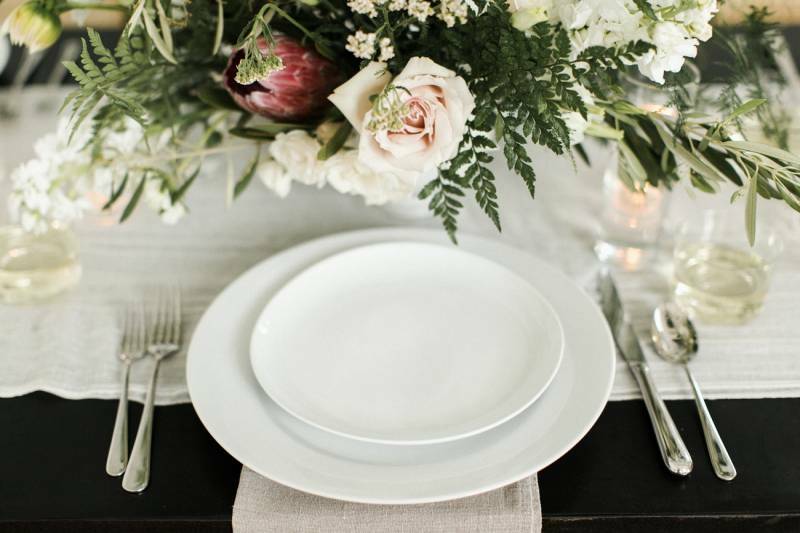 Instead we want their day to be described with words of peace, joy, hope and celebration. 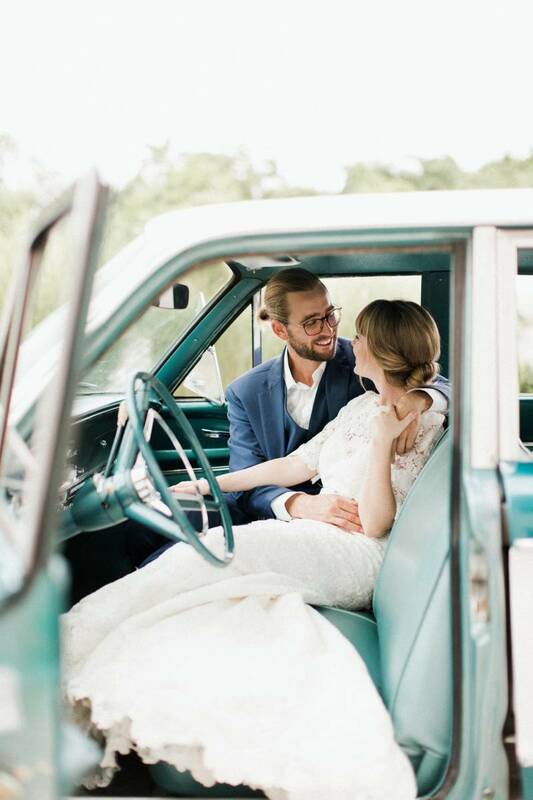 Our desire is for families to enter a peaceful process with the bride and groom and be able to focus on the importance of the season. 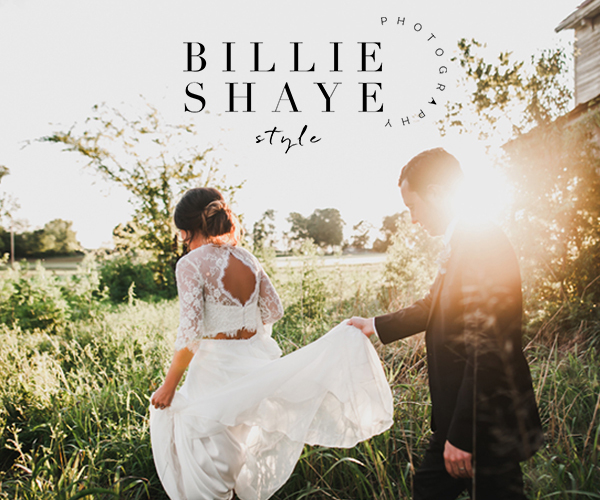 From our experience with this shoot, to working together on previous weddings, I know we have built a thoughtful group of vendors dedicated to seeing this vision through. 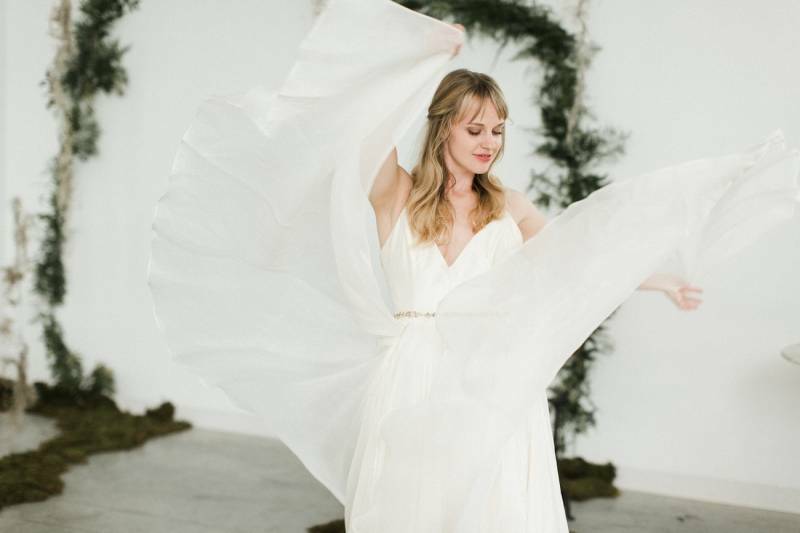 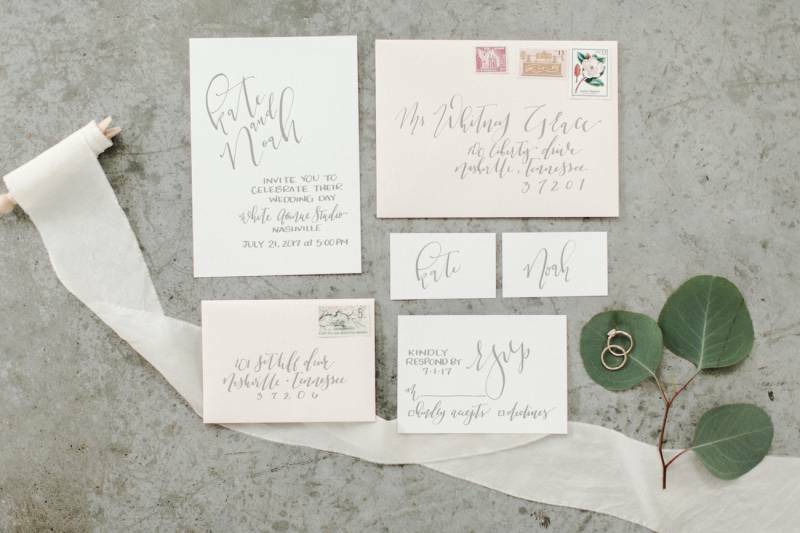 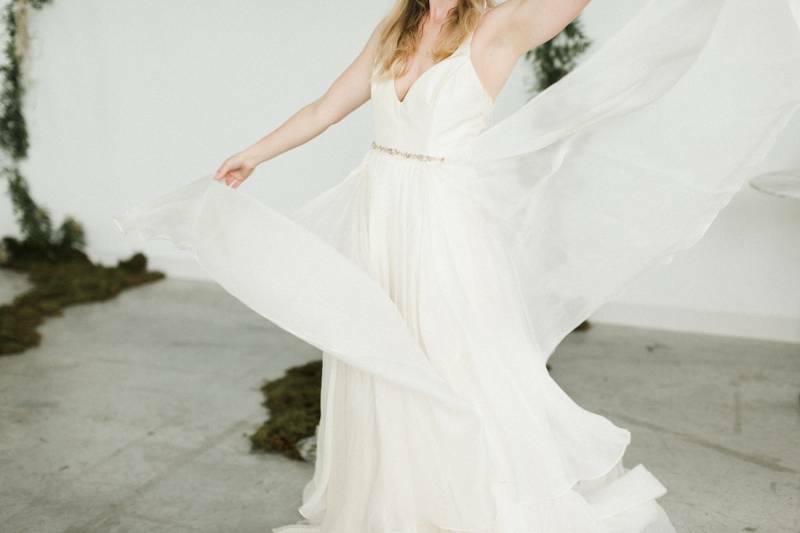 Advice for brides planning now from Whitney of Woven Events: Stay away from design overload. 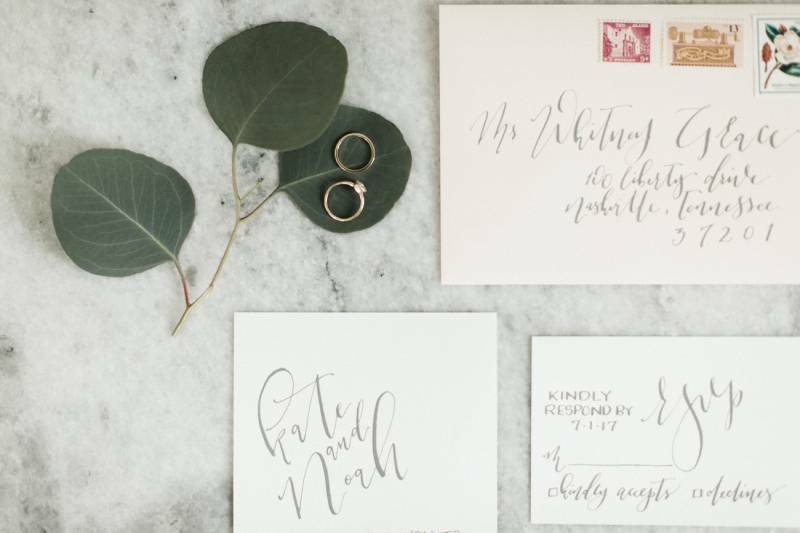 Refine and simplify your numerous pins down to a few options that you or your planner can turn into real life. 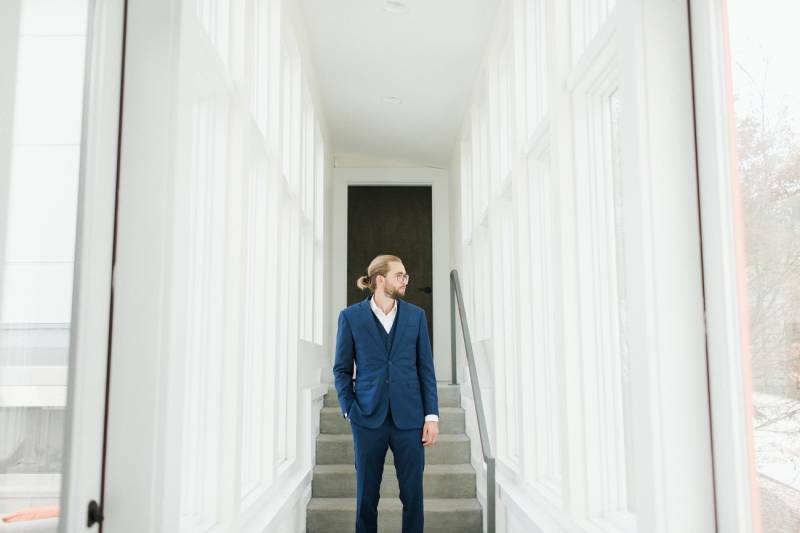 Slow down and simplify in order to orchestrate a composition created just for you. 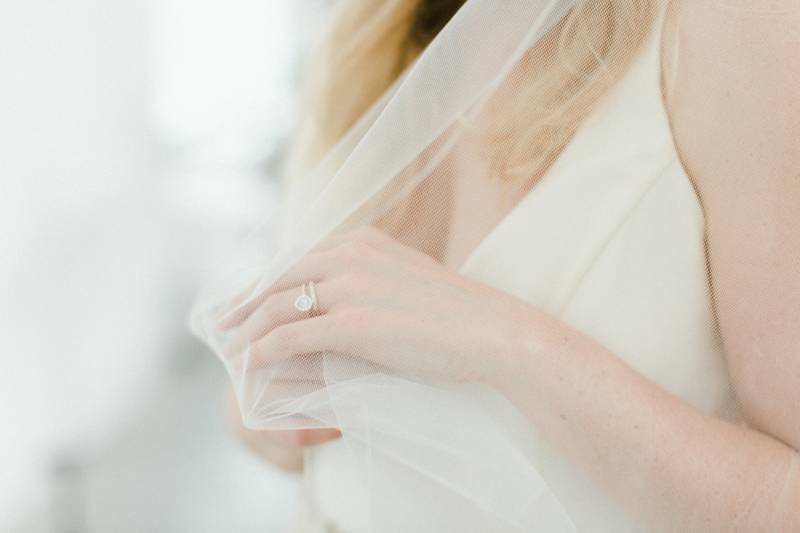 Thank you so much for sharing this stunning shoot with us, Whitney! 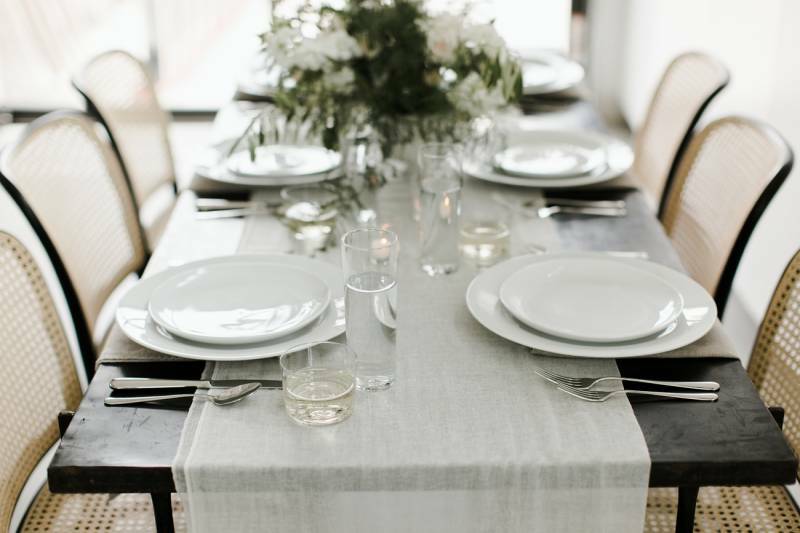 You can check out more of Woven Events' planning + design services here online and also be sure to follow Woven over on Instagram!